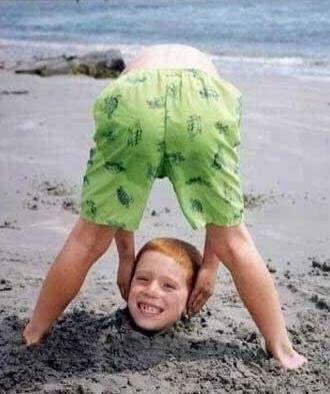 Don't lose your head - it's just a summer class. Since this is a summer class, we should all be outside somewhere having fun instead of sitting in some dusty old cubbyhole. Therefore, much of your homework for this class will be to get out and have fun. And then we're going to write about that fun. The first paper, I'll call a "hidden treasure" essay. Then we will do a restaurant review, an entertainment review, and either a descriptive analysis of a major attraction in the area, or a persuasive piece called "what this area really needs is..." You will also do an "experts team" project, and the final major project will be the web folio. The culmination of your summer writings will be an on-line database (or a class publication if you wish to look at it that way) of information about how to have fun in our part of Virginia during the summer. Site last updated on: 7/24/06, 1:00 p.m.
In-class: Discuss objectives, view web folios from previous semesters. Make an email account (if necessary), register with Geocities, begin making your web site.. Discuss paper #1. 1. Defines what an essay is and what a thesis statement is. In addition to the link provided, read sections 3 and 4 of the Writing Essentials handbook. 3. Read at least six student essays from Summer 2001 or Summer 2003 describing a "hidden treasure" (or a little known or minor attraction in the area). Identify the thesis statements of at least six of the essays (write or type them out to be turned in, but keep a copy for yourself for class discussion). In-class workshop: Composing the first essay. The biography/introduction papers are pretty good, overall, so I will make them graded assignments. I have marked them for editing, and if all the corrections are made when you turn the clean copy in to me next Tuesday, along with the version which I have marked, I will record an A for the paper. Since this was a short, in-class paper, this will be the only paper where I would award an A for a revision. I'll explain this in class. 1. Finish composing your first essay and bring it with you to class on disk and printed out. All hard copy of essays this semester will be typed and double spaced, using Times New Roman, 12-point fonts. 2. Read and refer to section 5 (pages 22-28) of the Writing Essentials handbook for guidelines on revision and peer review. In addition, Read this revision and editing advice and checklist from the Guide to Grammar and Writing at Capital Community and Technical College in Hartford, Connecticut. Essays will be turned in after peer review at the end of class on Thursday, 6/1. Exchange papers with others in your "pod" and apply the evaluation criteria suggested in section 5 of the Writing Essentials handbook, the revision section of the GGW, and, most particularly, those outlined in my posted evaluation guidesheet for the project. Here is a printable version of the GGWs revision/editing checklist. Revise, edit, perfect your papers. About 60 minutes. 1. Do some "experiential research" for your next paper!! 2. Read why we have to take these stinking communication classes in college: A. professional communication skills interviews: Index #1, Index #2. B. The following press release from the College Board (publishers of the SAT college entrance exam) describes the results of a huge national survey of employment skills. "Writing Skills Necessary for Employment, Says Big Business" Writing can be a ticket to professional jobs, says blue-ribbon group... C. The hard copy hand out: "The Fine Art of Getting it Down on Paper, Fast"
Due: Revisions of the "get to know me" introduction paper. See my comments posted at 5/30 above. Okay, in reading your essays, I am finding out a lot about how you feel about the subjects you are writing on, but I am, mostly, not able to share those feelings because I don't have enough descriptive details from the papers to be able to experience the sights, events, meals, etc. for myself. So let's focus on developing personal essays by use of concrete descriptive details. First, read this section from theGGW on writing a personal essay (i.e., an essay written from personal experience). Okay, then put the importance of descriptive detail in context by reading this selection on description and the sample essays, "The Sacred Grove of Oshogbo" and Twain's "My Watch." There is important advice following the Twain piece, so read to the end of the page. We will discuss the "Oshogbo" essay as an example. Second, find an paper from the index of student papers from Summer 2005 which you think best exemplifies the best qualities of a personal essay in regard to its use of concrete, descriptive details, and be prepared to defend your choice. Metadiscourse. This link will help you to understand one of the problems I see too much of in first-semester compositions. 8:00 a.m. class, in class: Begin the Errors Analysis assignment. 11:00 a.m. class, in class: Geocities workshop. Homework for Tuesday 6/13: 1. Do "experiential research." Next week we will start the next essay, so do your research, and take notes. (What is happening around the area this weekend?). 2. Do the Icarus assignment and turn it in at the start of class on Tuesday. 3. 8:00 a.m. class, do the errors analysis. We will spend 15 minutes troubleshooting any particularly sticky problems or questions you have related to the errors analyses, and then you will turn them in to be graded. In-class assignment, 8 a.m. section: Based on the editing problems I saw in the introductory paper and the first essay, I will place you into "experts teams," wherein you will research a specific punctuation or grammar convention, making yourselves, hereafter, the class experts and consultants on that aspect of editing throughout the rest of the semester. Today you will begin your research from on-line, print, and human resources, and you will plan how your group will present your topic to the rest of the class and how to supplement it with a permanent resource. You may supplement your oral presentation by developing a PowerPoint slide show (which can then be posted on the Internet for future reference), a web page or web site, or simply as an MS Word hard copy handout, which also can be posted on the Internet. The experts teams will consist of two, three or four members and will focus on comma uses and misuses, sentence boundary errors (fragments and run-ons), identification and use of past tense verbs, use of quotation marks (particularly as relates to other punctuation), identifying and avoiding shifting verb tenses, effective proofreading strategies and techniques, and parenthetical citations and works cited entries. Your presentations will be written in your own words, not verbatim from any sources, and you will include a correctly formatted works cited entry for each source you used in researching your topic. In-class assignment, 11a.m. section: Do the errors analysis of paper #1. In-class assignment, 8:00 a.m section: 1. Make your experts presentations. 2. Begin essay number two. In-class assignment, 11:00 a.m section: 1. Begin "experts team" group project described above. 2. Begin essay number two. Homework for Tuesday 6/20: 1. Read sections 9 and 10 in the Writing Essentials handbook, and get familiar with section 11, which has sample works cited entries. 2. Read the quotation marks section of the Guide to Grammar and Writing. 3. Expect a quiz on this question: Why are commas and periods always placed inside of the close quote marks according to the standard conventions of American usage? 4. Write your second essay. It is due at the start of class on Tuesday. 5. Include a one-sentence direct quote in your essay, with a correctly formatted works cited entry for the source. The source can be a web site about the topic, a newspaper article or review on this topic, a "man in the street" response to the topic, or an authoritative personal interview. This is just a one-sentence direct quote, no more than that. This resource will be helpful in making your works cited entries, but it is not the definitive source on correct works cited entries because it cannot anticipate every possible source of information: Citation Machine dot net. Let's make this "A-Day": Midway through the summer semester, let's pause to take account of where you stand and to improve that standing. My goal: You leave in 2 hours and 45 minutes with at least three A's on the first five assignments. However, this will take cooperation, concentration, efficiency, and teamwork on your part in order to happen. In-class: 1. Get autographs from the English 111 "celebrities" and 2. edit, correct, perfect the Icarus assignments and Errors Analyses, 70 minutes. 3. Experts teams presentations, 70 minutes. Everyone uses your own expertise to ensure that each team's presentation earns an A. Due at the start of class: Essay two. Extra credit opportunities: If you have decided not to make a Crying While Eating video, you may want to consider making a video of a somewhat more dramatic nature. In-class: Exchange papers with others in your "pod" and apply the evaluation criteria suggested in section 5 of the Writing Essentials handbook, the revision section of the GGW, and, most particularly, those outlined in my posted evaluation guidesheet for the project. Remember that this paper will include a one-sentence direct quote, relevant to the subject matter, correctly attributed in the text and correctly documented with a works cited entry at the end of the paper, following MLA conventions. Homework for Tuesday 6/27: 1. Read page 47-48 in Writing Essentials, about paraphrasing. There is not much in the WE handbook, so read more about paraphrasing from the Purdue OWL. 2. Do experiential research for the next paper. The next paper (#3) will include a paraphrase which is relevant to your subject matter from a published source or personal interview of some sort. 1. Discuss the Icarus assignment. 2. Discuss paraphrasing. 3. Finish experts teams presentations. In class: Summary writing workshop. 1. Read about how to write summaries for research(ed) papers. 2. Find an on-line or print article on a topic similar to what your next paper will be about (i.e., movie review, restaurant review, description of a major attraction or local festival, etc.). 3. Following the instructions, write a 150-word summary of the article. Include a works cited entry, and ensure that (1) there is no inadvertant plagiarism, and (2) that the works cited entry is correct in content and format. We live in the most historic region of the United States. People come from all across the continent to celebrate Independence Day at the birthplace of the nation, southeastern Virginia. Be a tourist. Get out there and enjoy the region and the holiday. It's your homework! Compose your next paper. You can do this anywhere in the world that you feel you can most comfortably and successfully write the best paper of your life. 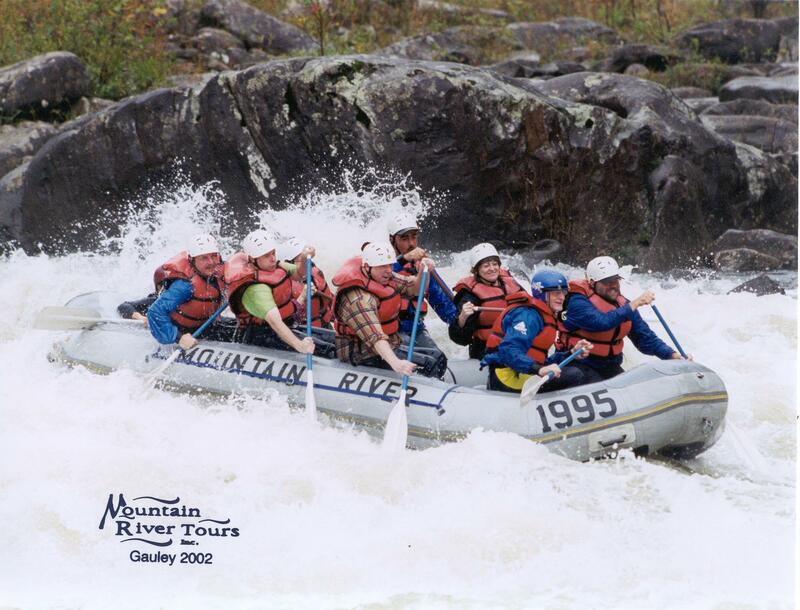 Having already whipped the Upper Gauley River on numerous occasions, I will be otherwise occupied on July 6th in taming the New River. If you must talk to me during class on the 6th, I'll give you my cell phone number. I won't answer if we are on a Class IV or V rapids; however...well, there is no however...because I'm just not going to answer it. Due at the start of class: Essay three. In class: 1. Trade papers and provide feedback. Make sure that your papers include at least one one-sentence paraphrase from an outside source, that it is correctly attributed in the text of the essay, and that the works cited entry for the source is correctly formatted and contains the information necessary for an MLA-style works cited entry. (80 minutes) 2. Following peer review, edit, revise, and perfect your own essay #3. Due by the end of class today. In class: 1. Finish any experts presentations. 2. Geocities workshop. 3. Composing workshop for final essay. The final essay will include a one-paragraph summary from a source relevant to your topic. Extra credit opportunities (three points are possible in all): 1. If your final paper (essay #4) is turned in to me today ready to be evaluated, I will add a one-point letter grade to this paper or to one of your other project grades (i.e., upping an F to a C, or upping a C to an A). 2.& 3. If you get all or part of any of your class projects published in an established print or online source, I will add one (or two for two publications) point(s) to your semester total, the equivalent of two letter grades for individual projects. Optionally, if you submit a letter to the editor on a topic you have not written on during this semester and it gets published by July 20th, I'll give a point of extra credit. Due at the start of class, essay #4: 1. Trade papers and provide feedback. Make sure that your papers include a one-paragraph summary from an outside source, that it is correctly attributed in the text of the essay, and that the works cited entry for the source is correctly formatted and contains the information necessary for an MLA-style works cited entry. (80 minutes) 2. Following peer review, edit, revise, and perfect your own essay #4. Due by the end of class today. Due at the end of class: Webfolios. I will begin evaluating these so that you can make any corrections or revisions to the webfoilos and to your final paper (essay #4) during class on Thursday. Final "exam": 1. Make any necessary corrections or revisions to essay #4, which will be returned to you at the start of class. 2. Post essay #4 in the webfolio once it is perfect. 3. Web folio evaluation conferences during class. Remember, your web pages are not just some more boring academic essays. Make them even more interesting than they were in paper form by adding relevant links and pertinent graphics. Here are a few examples from last summer, provided by Luigi, Gwen and Georgia. Make yours not only read great but look great as well. Note: We will perfect paper #4 and the webfolios during this final class. Those will be the final projects for the semester; there is no other final exam for this English 111 course. Semester has ended. Go forth and multiply continue to have fun!